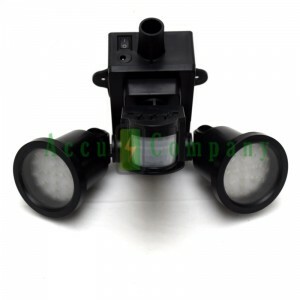 Safety Light with PIR sensor. Automatic lighting with movement in the dark. This lamp is equipped with a solar panel and battery pack. Each spot is freely adjustable. Daytime charge the battery even in daylight when the sun is not shining. The integrated twilight switch, turn to darkness (adjustable) automatically adjusts the motion sensor. 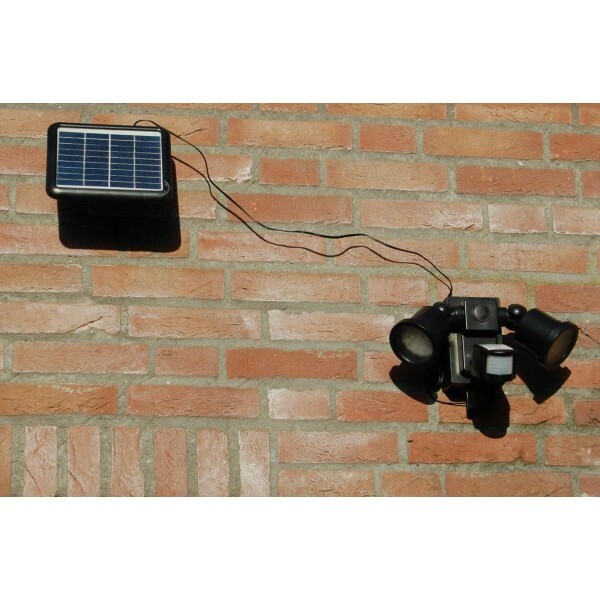 The solar panel charge the battery and is equipped with 3 m wire and support for optimal placement relative to the sun. Twilight circuit that automatically activates the motion sensor. Exposure time can be set from 1-4 minutes. Including screws and plugs for wall mounting.